What Is Sleep Innovations Contour? Snoring should never be taken lightly. If you have a snorer in your home, then you know that this loud and annoying habit affects the entire family. Unfortunately, a lot of people who sleep on their backs often tend to snore because their tongues fall to the back of their mouth and obstruct the free flow of air. Although mouthpieces claim they can significantly reduce or eliminate snoring, not everyone can get used to wearing them. This is where anti-snoring pillows enter the scene. Today, we’ll take a closer look into one of them in our Sleep Innovations review, which explores the pros and cons of this anti-snoring pillow. 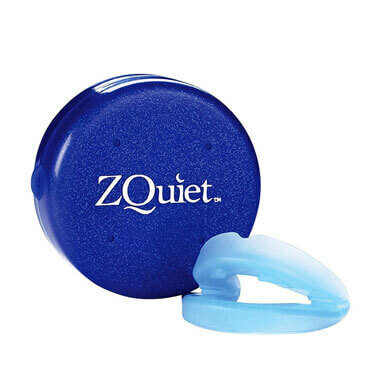 This product is ranked #2 on our Best Anti-Snoring Pillows list. 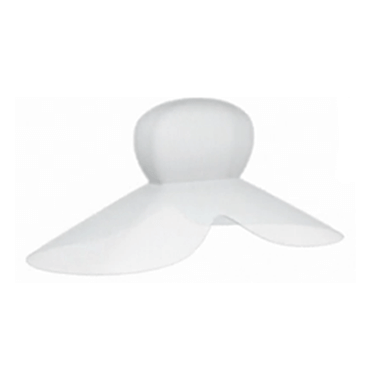 The most important characteristic of anti-snoring pillows is that they are comfortable and easy to use. This contour memory foam pillow promises to provide a perfect fit for your head and neck. This means that your head shouldn’t fall back even when you’re sleeping on your back. It is also worth mentioning that this anti-snoring pillow has a higher and lower contour, which is a crucial part of its therapeutic design. Put differently, you can choose what pillow height suits you best. This pillow won’t lose its shape during the night – it will retain its form in order to give your head and neck full support. The shape of this anti-snoring pillow is important because it helps keep your airway open throughout the night. This pillow works best if you sleep on your side, as it will keep your whole body aligned and you will be able to breathe normally. You should know that it might not be as effective as some of the best snoring aids out there, but it can be of some help. It’s significant to point out that an anti-snoring pillow can be a good solution for people who snore while sleeping on their backs or when they’re sick. If your snoring problem requires jaw repositioning or tongue stabilizing, then you should consider getting a mouthpiece. Anti-snoring pillows can reduce snoring but they aren’t miraculous. Using this contour memory foam pillow has another advantage – it helps keep your spine in perfect alignment. 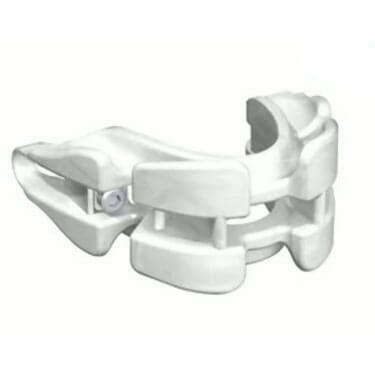 This feature can improve your overall health, especially if you suffer from back pain. This pillow is also machine-washable, so maintaining it is pretty simple. Sleep Innovations offer a 5-year limited manufacturer warranty, which means that if something happens to your pillow, they will either repair or replace the product. In case you smell an unusual odor coming from your pillow, the manufacturer claims that there is no need worry as it is a “Fresh Foam” odor. This odor is actually quite common and it usually disappears within three days after unpacking your pillow. Don’t forget to air it out if the odor stays for longer or you can lightly spray it with an odor-eliminating product. Most users agree that this pillow is effective when it comes to helping you sleep more comfortably. It won’t put any strain on your neck and shoulders, so you can expect your neck or shoulder pain to go away. As for snoring, it can be helpful if the snorer sleeps on his or her side. However, keep in mind that this is not a permanent solution to your snoring problem. 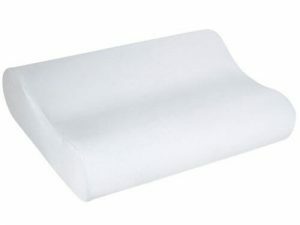 The price of the contour memory foam pillow is $20.29. If you prefer bigger pillows, you can purchase the queen size version of this pillow. If you are still unsure if Sleep Innovations Contour Memory Foam Pillow is right for you, check out the key advantages and flaws of this snoring aid. This Sleep Innovations review will definitely help you find a way to sleep better because this product provides optimal head and neck support. When it comes to snoring, it can help to some extent, but if your snoring doesn’t stop, think about getting an anti-snoring mouthpiece. Our ratings are the result of an objective and independent evaluation of Sleep Innovations Contour Memory Foam Pillow, generating the final rating that reflects the overall quality of the company. Ratings may change as the product introduces changes. Sleep Innovations Contour Memory Foam Pillow user rating based on 4 user reviews. Ever since my favorite Tempur-pedic pillow was changed, I've been searching for an adequate replacement that'll help me with the constant pain in my neck and this tense feeling I always have in my shoulders. This pillow did smell kind of funny when it first got here, but my neck simply loves it. Just give it some time for the foam to break in and you should feel immediate relief if you're suffering from the same problems as I am. Finally, a pillow that got me off sleeping pills once and for all. My snoring problem is almost gone, but so are the headaches and dumb morning neck stiffness. I've been through four different brands trying to find the pillow that's just right for me. If my pillow is to farm, I get these massive headaches and wake up even more tired than I was when I went to bed. Sleep Innovations Contour is ideal for me and has helped me with more problems than I can count. This is a high quality pillow that did magic for my neck pain, but as for snoring, it only reduced it by some 40-50 percent. Still, that’s something? Much more comfortable than any other memory foam pillow I’ve tried. My husband uses it for snoring and it really helps. We found 0 verified Sleep Innovations Contour Memory Foam Pillow discounts for April, 2019. There are no Sleep Innovations Contour Memory Foam Pillow coupons or discounts right now. In order to be sure that Sleep Innovations Contour Memory Foam Pillow truly is the best solution for your snoring troubles, you need to know what makes it superior or inferior to its alternatives. Discover how Sleep Innovations Contour Memory Foam Pillow compares to other popular snoring aids of its kind with our detailed feature and price comparisons and easily determine whether you are making the right choice.